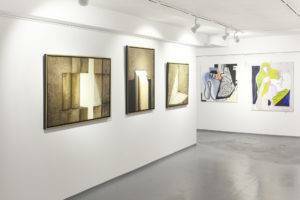 Xanadu Gallery offers a service of art loans for companies and individuals – to enrich interiors such as legal offices, hotels and wellness centers, restaurants or private spaces with unique objects: paintings, sculptures, graphics and photographs. Our help is comprehensive – we advise on the choice of works taking into account the type of interiors and customers’ preferences, we prepare individual evaluations depending on the number of chosen objects and the duration of the contract, we help with picking and preparing the space for the installation, choosing right lightning and then we take care of the delivery and installation works. 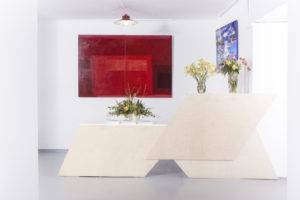 We also prepare full descriptions of the chosen objects, along with the biographies of the artists and prices, which the company can present to those clients who may be interested in buying shown works. Art rental brings some additional benefits of a financial nature – rented works can be sold and our customers will receive percentage from the sales. 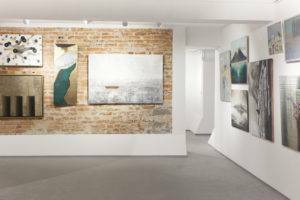 One of the advantages of an art rental service is its flexibility – exhibited works can be regularly exchanged for new ones, altering the character of the interiors without any serious intervention. Regular customers will surely appreciate such “refreshment” of the company’s space. 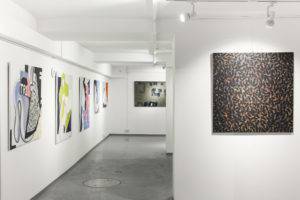 Art rental, in the addition to the obvious decorative aspect, also means an investment in the company’s image, the possibility of direct contact with art on a daily basis, and perhaps beginning of a collection. The presence of art in the company’s space can be a great subject of conversation with customers, serve as a pretext to break the ice. The interior enriched with works of art will not only gain a special, unique character, but will also be better remembered and perceived by customers. Renting works of art brings benefits reaching far beyond the purely decorative and material aspects – it’s an evidence of the company’s commitment to matters connected with culture and places it in a position of a patron of the arts. Hence the service of art loans is particularly recommended to law companies, medical practices or financial institutions – industries, which for years have been associated with art collecting.